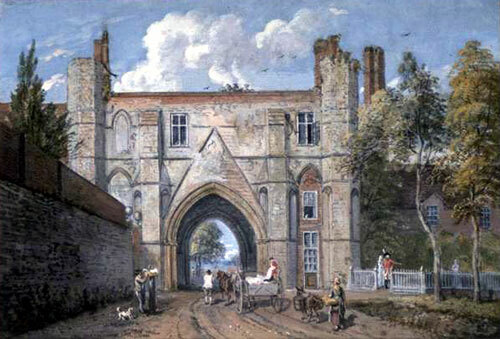 Caption: Reading Abbey Gateway, by Paul Sandby. Showing the North front of the only remaining gateway to Reading Abbey. The Gateway is still standing today after being rebuilt in the nineteenth century with some modifications.